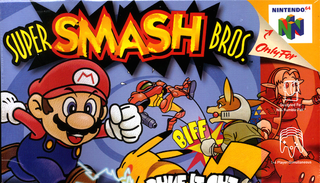 Undefeated Kentucky College Basketball Team Is Obsessed With Smash Bros. When you're 36-0 and trying to continue your undefeated streak, you need a stress reliever. Kentucky Wildcats TV (via Bleacher Report) found out the Kentucky Wildcats college basketball team spends their free time playing Super Smash Bros. on Nintendo 64 over and over. They're super competitive, obviously, and get upset when things go badly. All's fair in love and Smash.